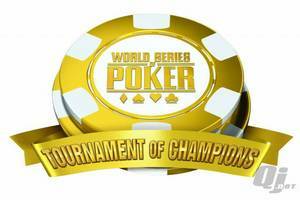 Whenever there is fan voting there will always be a case to be made for this player or that player, and this is precisely what happened for the World Series of Poker Tournament of Champions, where 20 of the 27 players were selected by the fans. For the most part the voters got it right, and there were a number of players who were shoe-ins like Phil Ivey, Daniel Negreanu, Doyle Brunson, Phil Hellmuth and Johnny Chan. It would also be difficult to argue against the inclusion of Allen Cunningham, Scotty Nguyen, John Juanda, Chris Ferguson, Barry Greenstein, Erik Seidel, Jennifer Harman, Huck Seed, Howard Lederer, Dan Harrington or TJ Cloutier. However, it’s the following four players that I think needs some serious reshuffling: Antonio Esfandiari, Greg Raymer, Joe Hachem and Sammy Farha. None of these players has an overly impressive resume, and it would appear some votes were based entirely on name recognition. #1 – Carlos Mortensen. Mortensen has won nearly $10 million in poker tournaments; The WSOP Main Event; The WPT Championship; 2 overall WPT wins; and 2 WSOP bracelets. Also , Mortensen has had success before the poker boom, as well as after, proving his ability to adapt and compete in virtually any poker environment. #2 – Jeffrey Lisandro. How Lisandro wasn’t voted in after his three bracelet performance last year is beyond me. With a total of 4 WSOP bracelets, 33 cashes and 13 final tables, his WSOP resume is far superior to any of the above. This entry was posted on Monday, June 21st, 2010 at 9:43 am and is filed under Poker News. You can follow any responses to this entry through the RSS 2.0 feed. You can leave a response, or trackback from your own site.